Press Release: Coordination of Democratic Rights Organizations, (CDRO), expresses grave concern at the situation in Kashmir which has seen the death of 23 people and injuries to more than 300 persons over the last three days at the hands of Police and the Para military forces. The killing of Burhan Muzaffar Wani, a young leader of an armed opposition group and icon for the youth in Kashmir, by security forces on the 8th July, 2016 saw thousands of protesters descending on the streets of various towns in Kashmir, especially in the southern districts of Anantnag, Pulwama, Kulgam and Bijbehera. Burhan Wani had caught the imagination of the Kashmiri youth, who are caught in an endless cycle of violence and repression by Indian security forces. Although the ADG of police S.M. Sahai has publicly stated that the police action was “restrained”, numerous reports from the ground speak of police tear-gassing and then shooting bullets and pellets at protesters to kill. Many of the killed protesters have been found with bullet injuries in the chest and pellet injuries to eyes showing that the police shot to kill, rather than incapacitate the protesters. 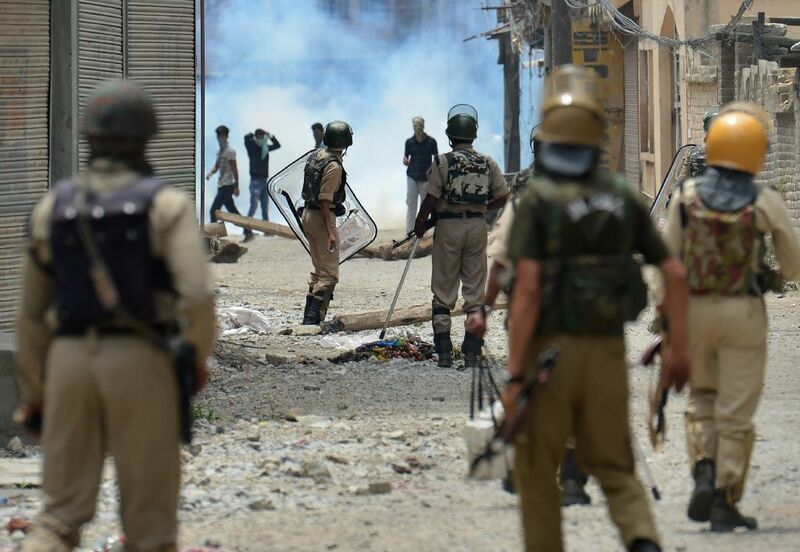 These incidents are reflective of the ground situation in Kashmir, which is one of the most militarized areas in the world today, where six lakh Indian army and paramilitary personnel are deployed against sixty lakh highly aggrieved people. The rise of Burhan Wani as a popular leader of armed resistance is a result of this process, as he embodied and gave expression to the deep frustrations of the Kashmiri youth, suffering for long under the repression of the Indian security forces. The deliberate failure of the Indian state to recognize these frustrations, the constant attempt to externalize the causes of the conflict by claiming that it is fomented by Pakistan and the extreme repression let loose on the population by the Indian army and paramilitary forces has led to this situation that the pent up anger is expressed in these mass protests. 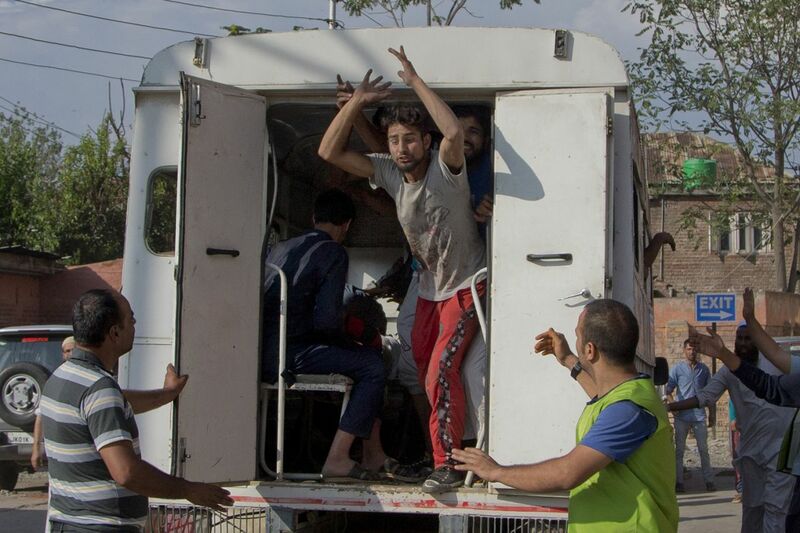 And the violence with which these protests are met, give rise to further anger and frustration among the Kashmiri youth, who know that there are no democratic means for venting their grievances or meeting their aspirations. Contrary to claims by the security forces that the militancy in Kashmir is fomented by a handful of militants who have crossed over from Pakistan, Burhan Wani was a local youth who joined armed opposition for the same reasons that thousands of young Kashmiris have been coming out on the streets to pelt stones at Indian security forces. It is no wonder that 40,000 people assembled at his funeral in his home village in Tral. CDRO condemns the repression by the security forces in Kashmir and calls for a sensible handling of the situation by the state and central governments such that further deaths do not occur. 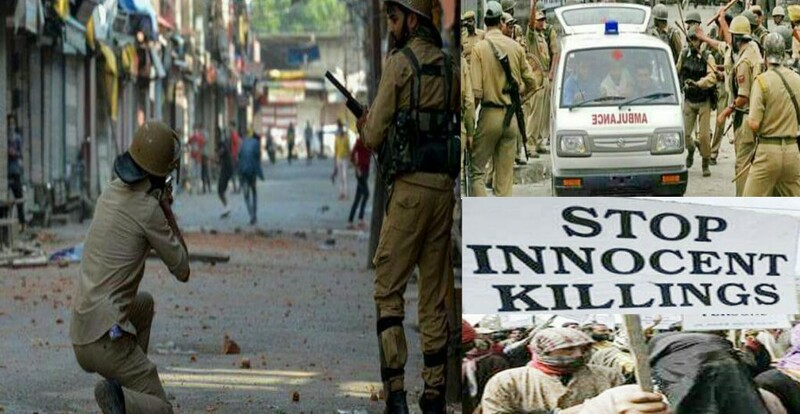 The events in Kashmir have shown repeatedly, (for example in April this year when five people were killed in police firing on unarmed people who were protesting against the alleged molestation of a teenage girl by security personnel in Handwara), that it is the high-handed action by the security forces which aggravate an already volatile situation which is marked by absence of politics sans bloodshed. CDRO reiterates that these wars, and never ending military suppression must give way to a political process which alone can bring about a democratic solution and bring peace to a people who have suffered grievously for nearly seven decades under Indian tutelage. C. Chandrasekhar (CLC, Andhra Pradesh), Asish Gupta (PUDR, Delhi), Pritpal Singh (AFDR, Punjab), Phulendro Konsam (COHR, Manipur) and Tapas Chakraborty (APDR, West Bengal) (Coordinators of CDRO). SRINAGAR (AFP) – Death toll during the protests in Indian-held Kashmir against the killing of separatist leader Burhan Wani reached 32 on fourth day (Tuesday) with 400 injured under treatment in hospitals. Hundreds of protesters tried to storm a military airbase in India-held Kashmir on Monday, the third day of deadly clashes between government forces and demonstrators angered by the killing of a popular young separatist leader. 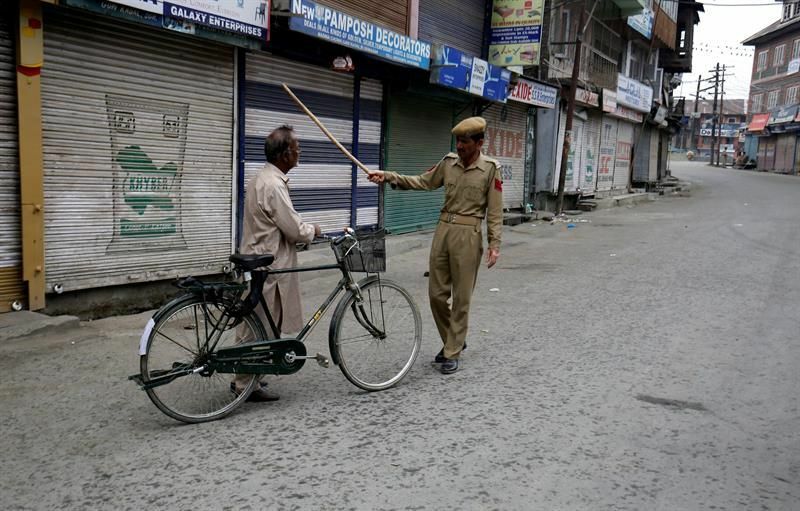 Police said 32 people had now died in the violence, most of them protesters killed by gunshot wounds as government forces fired live ammunition and tear gas to try to enforce a curfew imposed across the Kashmir Valley. Thousands again defied the curfew to take to the streets on Monday. Police said several hundred protesters tried to storm an Indian Airforce base about 25 kilometres (15 miles) south of the capital Srinagar as the worst civilian unrest since 2010 spread. “A few hundred protesters stormed the airforce base,” said a senior officer on condition of anonymity. “We do not know if firearms were used, but the protesters were pushed back,” he said, adding there were no immediate reports of casualties. Protesters also set police stations and vehicles on fire. On Sunday one police officer drowned when his armoured vehicle was pushed into a river. The demonstrations follow the killing on Friday of Burhan Wani, a 22-year-old alleged commander of Kashmir’s largest separatist group Hizbul Mujahideen (HM), during a gun battle with government forces. HM is one of several homegrown separatist groups that have for decades been fighting around half a million Indian troops deployed in the region, calling for independence or a merger with Pakistan. Around 400 people have been injured, including nearly 100 police, and hospitals say they are overwhelmed. There were also reports of injured protesters being targeted — one local doctors’ association said Sunday that tear gas canisters had been fired inside a hospital emergency room. 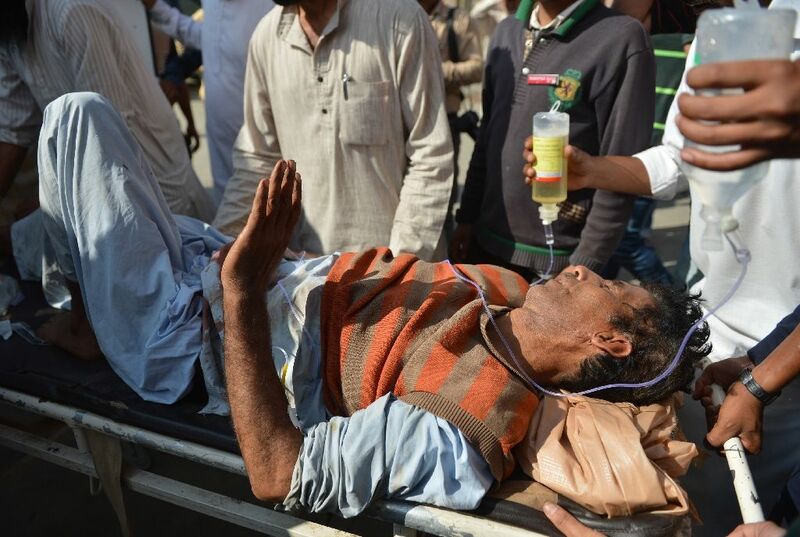 Another group, the Jammu and Kashmir Coalition for Civil Society, alleged that police had attackedambulances taking the wounded to hospital. The state government has called for calm and has cut off Internet and mobile phone networks to try to stop the protests spreading. It is the worst civilian violence to hit the restive region since 2010, when mass protests broke out against Indian rule. Kashmir has been divided between rivals India and Pakistan since 1947, but both claim the territory in its entirety. Tens of thousands of people, mostly civilians, have died in the fighting since 1989. Violence has sharply declined in recent years following a major crackdown by the hundreds of thousands of forces deployed in the region. But a recent uptick in militant attacks has galvanised frustrated young Kashmiris, many of whom deeply resent the military’s presence. Wani joined the HM group at the age of just 15 after his brother was allegedly tortured by government forces. His strong presence on social media where he posted pictures of himself in army fatigues and videos of his band of fighters, made him a rallying point for Kashmir’s youth and tens of thousands of mourners attended his funeral. 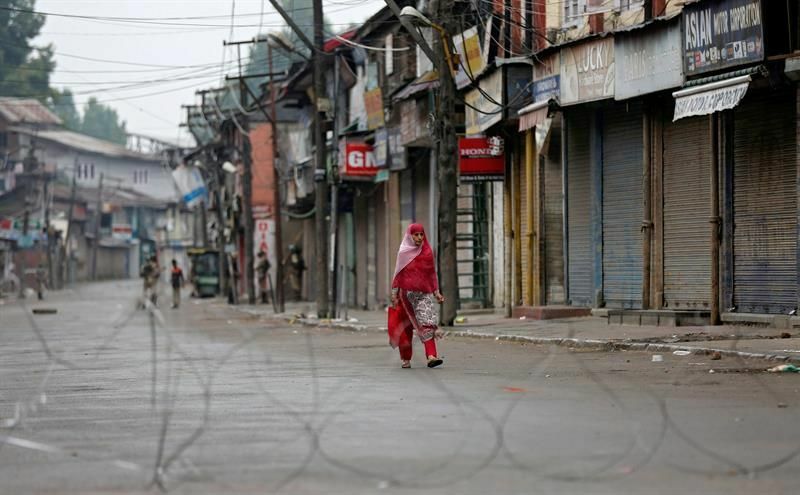 On Monday, separatist leaders said a shutdown protesting his death should be extended by two more days, and called a rally in the main city of Srinagar on Friday. Also Monday, paramilitary troops evacuated 23,000 Hindu pilgrims left stranded after authorities shut the main highway. The government has decided to suspend the annual pilgrimage to the Amarnath shrine, one of Hinduism’s most revered sites 3,800 metres (12,800 feet) above sea level. Earlier on Monday, the Foreign Secretary called in the Indian High Commissioner and conveyed Pakistan’s serious concerns over the recent killings of Kashmiri leader Burhan Wani and many other civilians in Indian occupied Kashmir by the Indian military and paramilitary forces. He observed that the use of excessive force against innocent civilians protesting peacefully over extrajudicial killings, is deplorable and a blatant violation of the Right to Life, Right to Freedom of Expression and Opinion, Right to Peaceful Protest, Right to Peaceful Assembly and other fundamental rights. The Foreign Secretary deplored the firing by Indian security forces on peaceful protesters, resulting in killings of 32 innocent people and injuries of more than 400, around 50 critically. He highlighted that such brutal use of force is not acceptable under any circumstances. The Foreign Secretary called for fair and transparent inquiry against individuals responsible for these killings. It was emphasized that oppressive measures cannot deter the valiant people of the Jammu and Kashmir from their demand of exercising their right to self determination in accordance with the UN Security Council resolutions.